We are thankful for our family and health. We are grateful for our grandchildren, and the opportunity for a second chance–to make up for some of our failings in raising our own kids. I’ve discovered two new writers today–new to me that is, but I may be reading what they have to say. Christen Day is the author of Democrats for Life (review here) and executive director of an organization by the same name (website). I can have all my transportation needs met in Vicenza, Italy. 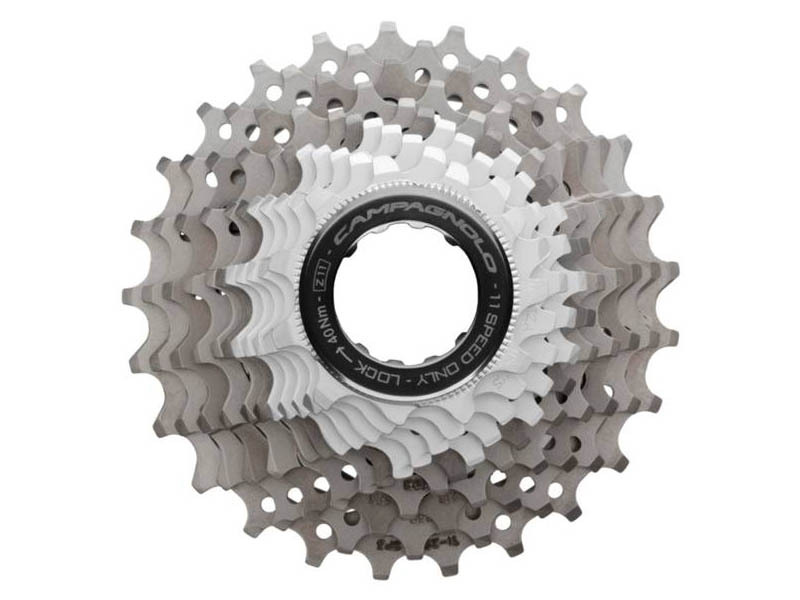 If congress would just forward me about 0.0001% of that bailout money, I could upgrade my bike with the new Campagnolo Super Record 11-speed system. That’s 11 sprockets on the rear X 2 on the front, for a 22-speed setup. Who needs internal combustion? With this, I can tackle any hill. But until the economy improves, I guess I’ll just have to limp along with my lowly 9-speed (X 3) setup. Seriously, I am concerned about the workers in Detroit. Mitt Romney says it’s their fault for wanting health insurance and the retirement pension they were promised. He says the automakers should use the bankruptcy laws to absolve themselves of those burdensome obligations. Part of the competitive disadvantage Detroit has is our system of health care. The Republicans have always resisted publicly-funded health care (that’s why they hated their own candidate, McCain)–and now they are blaming workers for wanting health benefits from their employers. But I say, who would we be saving Detroit for, if not for the workers? And I do seriously hope some of the funds will be used to develop sustainable transportation options. Why couldn’t Detroit compete with Italy in producing precision bicycle parts? Is the saying still true, “What’s good for General Motors is good for America”? Now that the car companies are asking for us to bail them out, like we did the Wall Street high rollers, it could be a good opportunity to retool our transportation system. In the 1950s president Eisenhower made a momentous decision. In the name of national security, he used the power of imminent domain to nationalize thousands of miles of farm land and build the Interstate Highway system. The national security interest was the transportation of troops. This experiment in socialized transportation was a huge success. It turned out to be a great subsidy to the automobile industry. The auto companies thrived, suburbs sprouted, boosting the construction industry–and the middle class emerged realizing the American dream for a whole generation. These programs of governments subsidies and centralized planning produced a level of prosperity no one could have imagined. There was only one problem. It relied on an unlimited supply of cheap petroleum–and fifty years ago, who could have imagined that the supply of fossil fuel was limited? Our dependence on automobiles–and therefore on oil from unstable countries–has produced a national security nightmare. Don’t let the temporary cheap gas prices fool you. As soon as the world economy begins to recover, oil will resume its ascent to $200.00 per barrel. The reason is simple. There are ten times as many people in China and India as there are in the US; and they all want to drive cars like we do. And who can blame them? The problem is, that there is not enough oil in the world to supply them and us. We could use this opportunity to retool the factories in Detroit, Ohio, Kansas City, and other places to produce mass transportation: high speed train cars, clean bio-diesel hybrid buses, trolley cars, bicycle lanes. We could improve our health, simplify our lives, clean up our air, and revitalize our economies. Or we could try to save the automobile–the dinosaur of our age. The University of Iowa has a really nice online phonetics tutorial for English, German, and Spanish. Just click on the German flag, and you can see a diagram of the speech organs, along with a closeup of a native speaker, and audio for the individual sounds of the language, and representative words. Thanks to my student Megan Baehr for finding this resource. The Speech Accent Archive contains samples of dialects of English from all around the world. You can hear a sample paragraph spoken by people from Huron, South Dakota, to Kathmandu (Well, I did find Kabul, Afghanastan, anyway.) Click on “Browse” and then the Atlas. A sound sample is given along with transcription in the International Phonetic Alphabet. 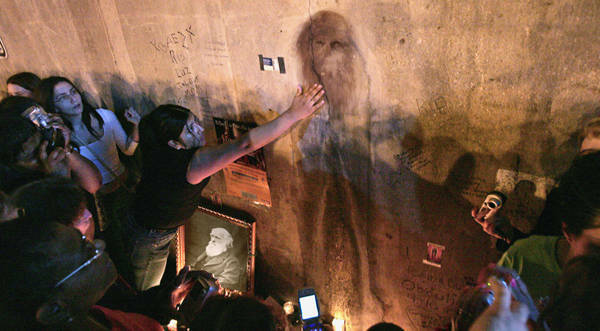 DAYTON, TN—A steady stream of devoted evolutionists continued to gather in this small Tennessee town today to witness what many believe is an image of Charles Darwin—author of The Origin Of Species and founder of the modern evolutionary movement—made manifest on a concrete wall in downtown Dayton. Parody [is] when you make fun of people smarter than you and satire [is] when you make fun of people richer than you. While Dietrich Bonhoeffer was in prison, hoping to be released but-as it turned out-waiting to die, he kept himself busy by reading and writing. One of the books that captured his attention was The Worldview of Physics by Carl Friedrich von Weizsäcker. Bonhoeffer was arrested in April of 1943, initially on relatively minor charges after helping a Jewish family escape to Switzerland. The Nazis did not yet suspect him of involvement in a plot against Hitler, and he hoped to be cleared of the lesser charges. After a year, by May of 1944, he must have seen it becoming less likely that he would be released, but still he maintained hope. Bonhoeffer continued reading and writing as a way of occupying the time-but also for a more serious purpose. He was planning to participate in rebuilding Germany and Europe after the war. He was thinking about serious issues affecting the church and the world. While reading Weiszäcker he expressed the view that we can no longer think of God as the answer to the gaps in our understanding and abilities. We should seek God in the middle of our lives and activity, not out on the boundaries. We should see God in our success, health, and strength, not only in our weakness, sin, and failure. Weiszäcker himself was an interesting figure. He was a brilliant young scientist, working alongside of Heisenberg, Bohr and others on nuclear research during the war. He later claimed that they had deliberately avoided developing the bomb, though that has been disputed. Nevertheless, after the war he did devote himself to banning nuclear weapons. Weiszäcker was a committed Christian who taught philosophy in German universities for a second career after teaching physics. I wonder if he read Bonhoeffer after the war, and if the influence was mutual. Carl Weiszäcker lived to be 94. He died just last year, in April of 2007.